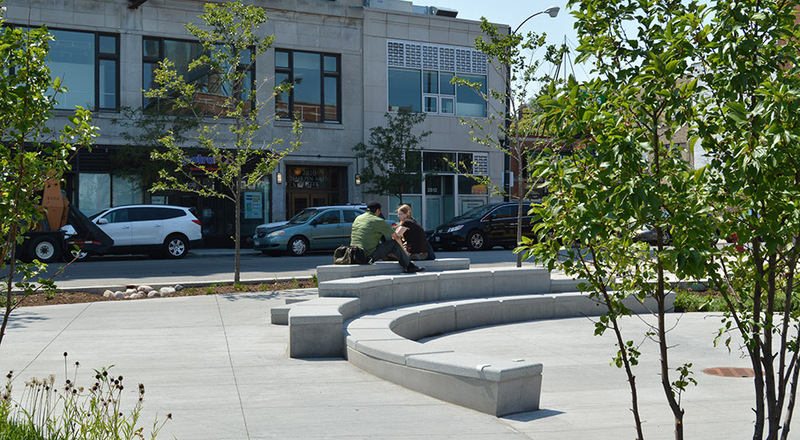 Woodard Plaza is a new active public space located in the diverse and dense Logan Square neighborhood in northwest Chicago. 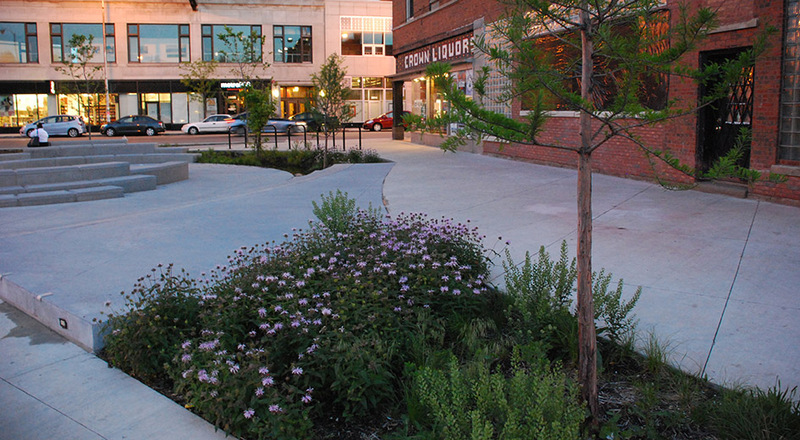 Once a drab concrete traffic island and underused street, the plaza has been revitalized and transformed into a vibrant, healthy public space that also delivers stormwater management benefits. 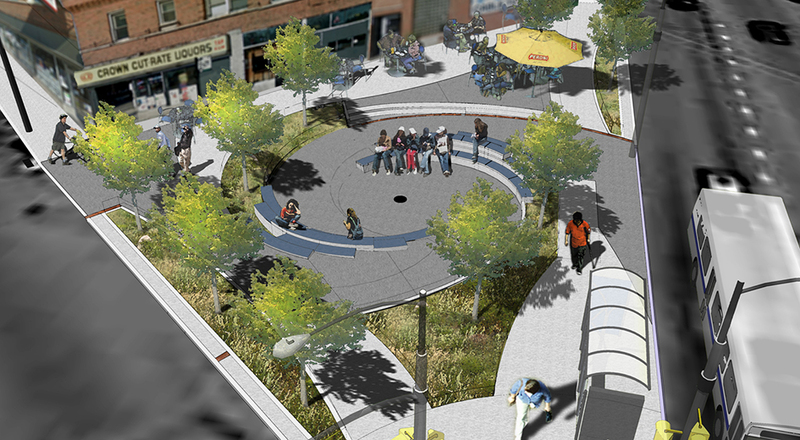 TGDA’s green infrastructure concept for Woodard Plaza focused on the use of a pinwheel design for the plaza, so that the motion of the water moving through the site could be visibly tracked. Concrete runnels are integrated as well to direct water from the plaza and the adjacent streets into five infiltration planters. Native plants and trees were used to increase the potential for water absorption as well as community green space. 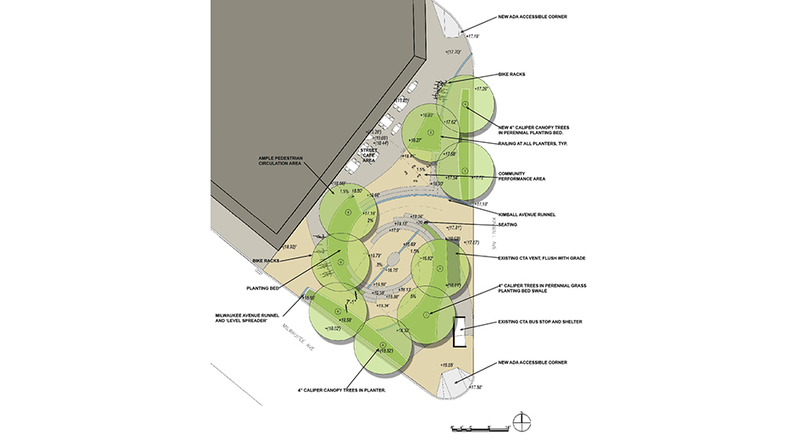 Overall, TGDA’s design for Woodard Plaza is estimated to divert 4,434 gallons of stormwater from directly entering the combined sewer system during each one-inch storm event, while expanding the amount of permeable surfaces from 185 square feet to 1,500 square feet. 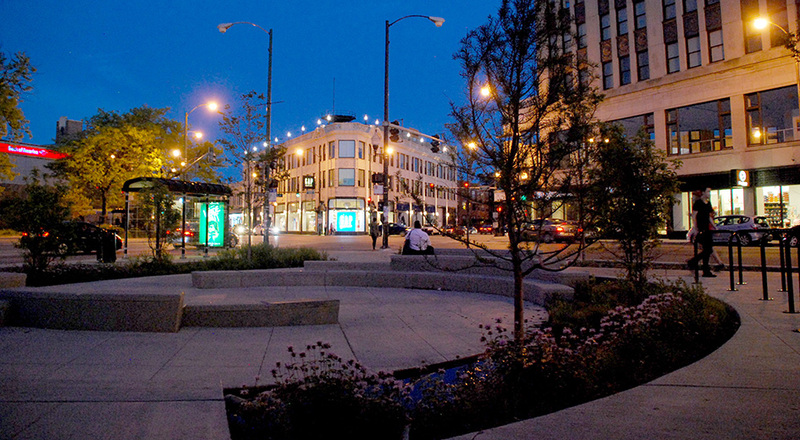 Woodard Plaza also serves as a vibrant social amenity for this dense community. One of the design team’s goals was to create a beautiful space where people want to linger, whether for a performance or impromptu gathering. 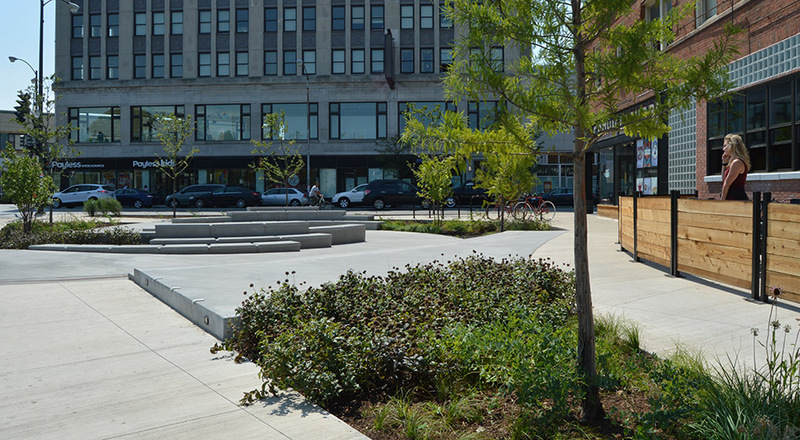 In coordination with the local community, the alderman, and neighborhood organizations, the plaza was designed to accommodate multiple types of social functions such as a public art installation and outdoor dining. Due to this high-level of design and engagement with the neighborhood, Woodard Plaza has become a destination for residents of all ages to enjoy.